"I raised to my lips a spoonful of the cake . . . a shudder ran through my whole body and I stopped, intent upon the extraordinary changes that were taking place." 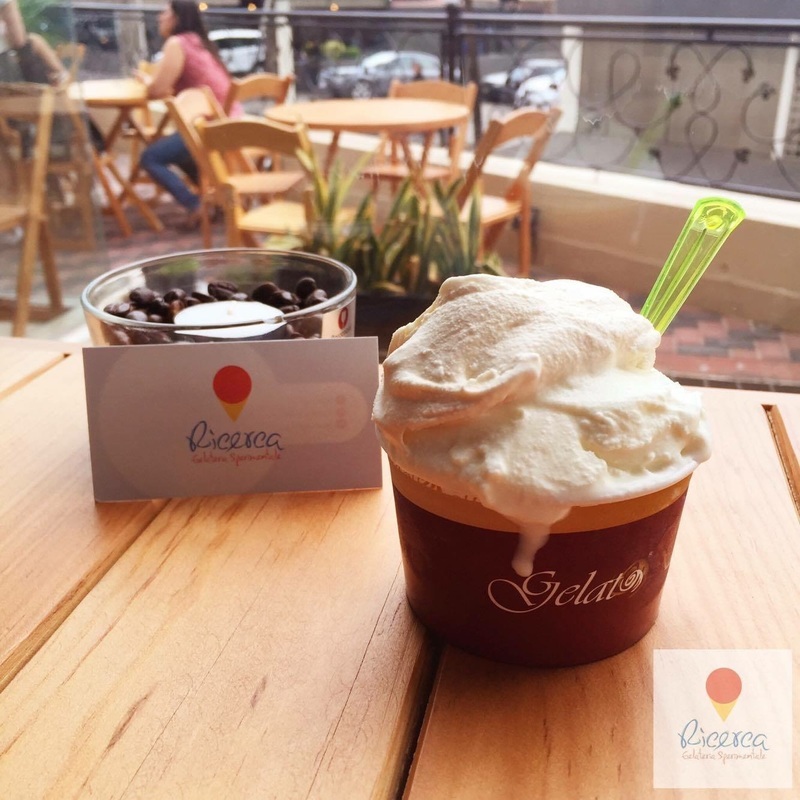 Ricerca Gelateria Sperimentale, which opened its doors in early April, is the best Italian gelateria in Mexico. And the first and only. 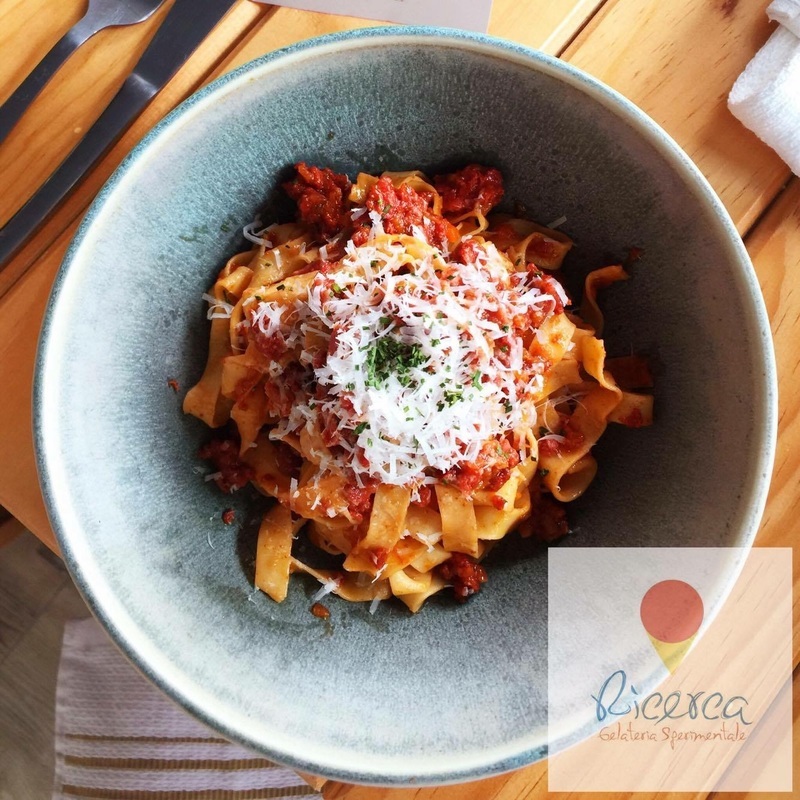 Besides gelato (Italian style ice cream) Ricerca’s menu focuses on modern and traditional Italian pastries and cakes as well as gelato products such as paletas and composed desserts. In addition, the casual restaurant offers a variety of savory dishes: fresh pastas, soups and salads that change according to the season. The force behind Ricerca is young chef José Luís Cervantes. Joe, as he is familiarly known, began his career working at two of Mexico City’s most renowned restaurants, Pujol and Quintonil. He has also toiled in kitchens in Paris, Tokyo, New York, Australia and most recently as part of the team at the Michelin-starred Le Calandre in Padua, Italy. Ricerca is his first venture in Mexico. ​The Italian word “Ricerca” (pronounced “Ree--CHAIR--kah”) means “research, study or search.” The chef vows to do just that. 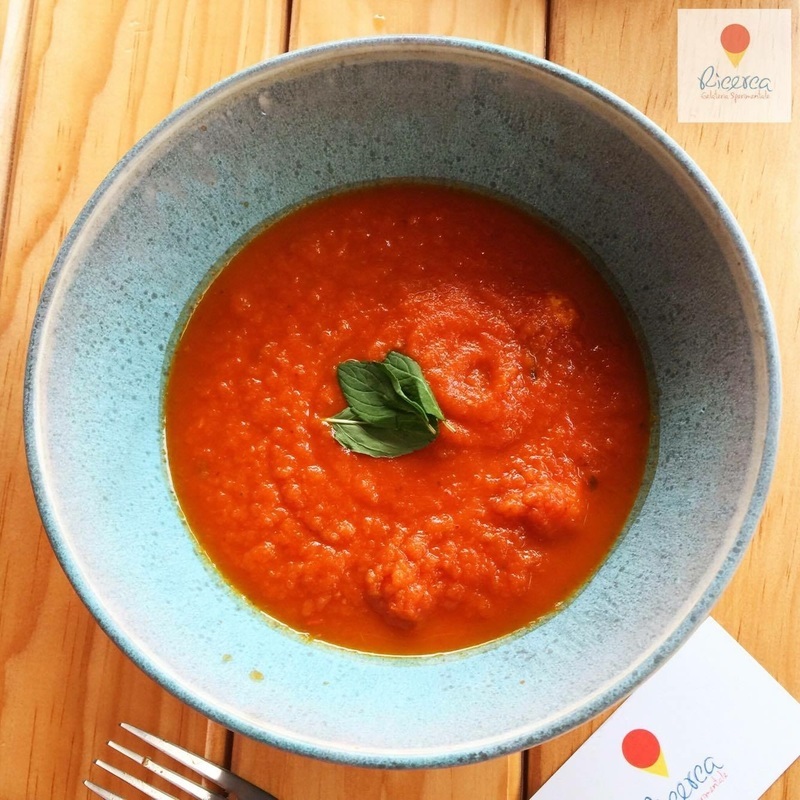 The menu encompasses soups – a roast tomato is sweet, and fragrantly smoky. A richer 'crema de papa velutada con tinta de calamar' pits squid ink with pancetta in a velvety potato cream. Composed salads include a classic caprese-like tomato salad with grapefruit gastrique and mozzarella, and a hearty bagna cauda, a dish common throughout the Mediterranean in which lightly cooked vegetables are tossed in an emulsified olive oil dressing perfumed by anchovy. Pastas are house made and sauces (save the Italian sausage) are oriented toward the vegetarian - a rich, dark vegetable stock replaces the usual demi-glace – even the carbonara is vegetable based and complex enough to compensate for the missing bacon. Joe’s desserts make the pilgrimage to Ricerca obligatory. Sachertorte is buttery and chocolaty without losing the nuance that “sinfully delicious” chocolate-based desserts often do. A beautiful swirly round version of tiramisú takes this sometime cliché back into the spotlight giving it the dignity it deserves. Several composed desserts include gelato – La Viña is so named because both cake and gelato are based on olive oil. And then there’s the gelato. They are churned out by a spectacular machine, made in Italy and the only one of its kind in this country, that performs the alchemy, transforming select ingredients from the mundane to the divine. Fourteen flavors are offered on rotation from classic Italian gusti like tiramisú, limoncello and fior di panna to creative and Mexican themed originals such as cacao with chile, mamey, Spanish olive oil and several fruit sorbets). It is with pride but also humility that I write of Ricerca. That’s because for the first time, this author is promoting his very own business. It’s no secret that I am a partner in this new venture. I consider it an honor to be included in this family business. I stand on the sidelines, cheering Joe and his talented staff on. Those who have been following Good Food in Mexico over the years know that I am a straightforward, albeit at times acerbic and cruel, critic. Ricerca is good, very good. Would I lie to you? Open daily from 12 to 9 p.m.
☻ “Best taco in Mexico"